One more Foil Mill contract! Yinbang Aluminium Co. Ltd., established back in 1988, is today specialized in the production of aluminium clad material, multi-metal clad material and non-clad aluminium material serving the automotive, aircraft, power plant, machinery and home appliance industries. 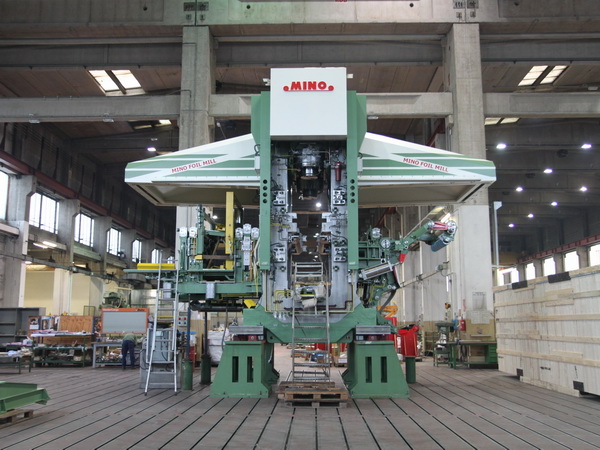 The new Foil Mill will be provided with the latest MINO’s technologies developed for foil rolling, including its high performance AFC/AGC process control system and its hot edge spray system that has been specifically designed to relieve high tensile stress at the strip edges, allowing to achieve higher rolling speeds. Advanced electro/mechanical solutions allow for tension control at reels over an extremely broad range of strip thicknesses and widths. MINO is pleased to have been selected for the third time by Yinbang Aluminium, being the repeat orders from a same Customer a clear recognition of Customer’s satisfaction of the level of quality and performance achieved by MINO mills.